BANDALOOP, Madrone Studios, and Illuminate the Arts invite you to add your voice and art to the conversation! You are invited to take part in a large-scale public art performance called #SFPublicCanvas. A community conversation comprised of crowd-sourced projected images collected through social media, #SFPublicCanvas will be activated by a live BANDALOOP vertical dance performance in the Mid-Market corridor in San Francisco. Marking your content with the hashtag #SFPublicCanvas is all you need to do to include your art, words and video to this conversation. 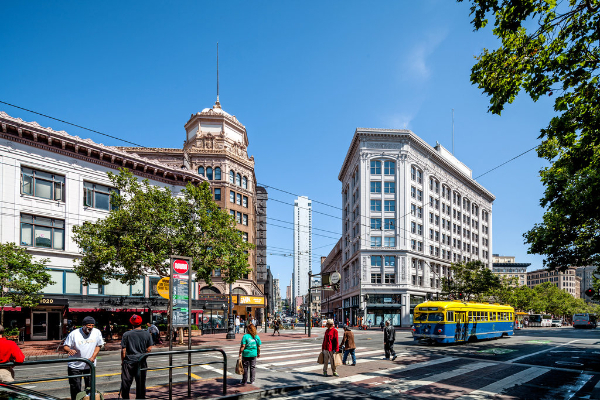 Show or tell us what inspires and challenges you about the Mid-Market area of San Francisco, what change you want to see there, or simply tell us who you are and why you are in the Mid-Market district. 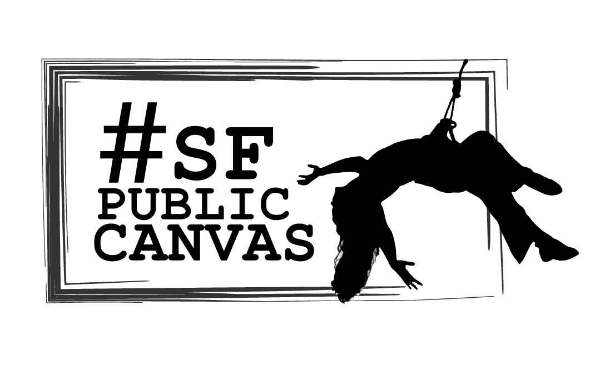 Take a photo or video on Instagram, or write your thoughts, poetry, free associations or prose on Twitter and Facebook with the hashtag #SFPublicCanvas - that's it! We will find it and blend it into our creation. A many-to-many conversation, #SFPublicCanvas will highlight your dreams, challenges and desires for this vibrant and challenging heart of San Francisco through dynamic large scale public performance. Be a part of it!Responses can be posted on Instagram, Twitter, Facebook. Use #sfpubliccanvas. Our open source digital media canvas will be integrated with vertical dance on the outside of Hastings Law School. This is free and open to the public. We encourage you to bring mats, beach chairs, or blankets. Open rehearsals are made possible by the generous support of the Kenneth Rainin Foundationand the National Endowment for the Arts, and a Lighting Artists in Dance Award, a program of Dancers Group. #SFPublicCanvas is produced in association with Illuminate the Arts and Madrone Studios. 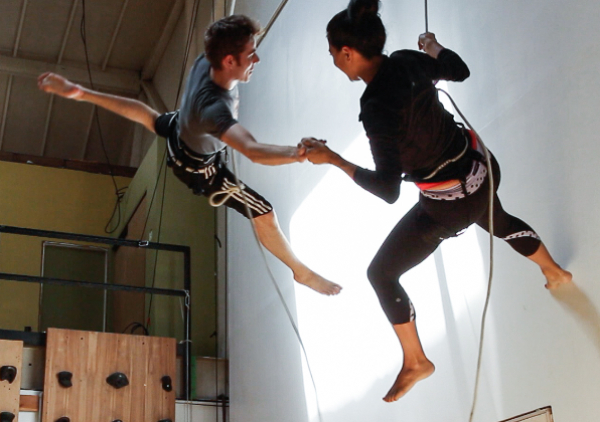 Reserve your spot now to learn how to dance on walls with BANDALOOP. Booking for our next "Spring Weekly" Open Level 8 week workshop in Oakland is open! Join us for a behind the scenes look at new work. 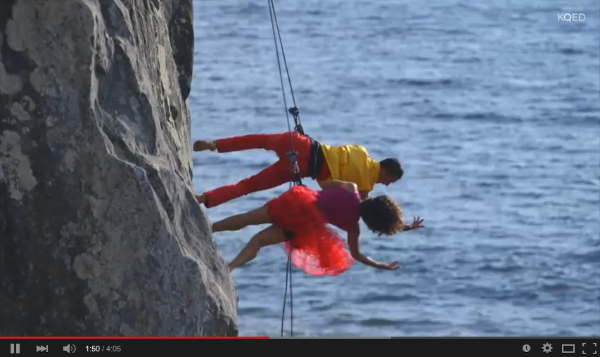 Filmmaker Lisa Landers released this piece recently on KQED featuring Founder & Artistic Director Amelia Rudolph and dancer Roel Seeber dancing on the cliffs of Marin, and it's already one of the local PBS affiliate's most viewed art films of all time! We hope you enjoy watching it as much as we loved being a part of it.